Happy Monday everyone.. 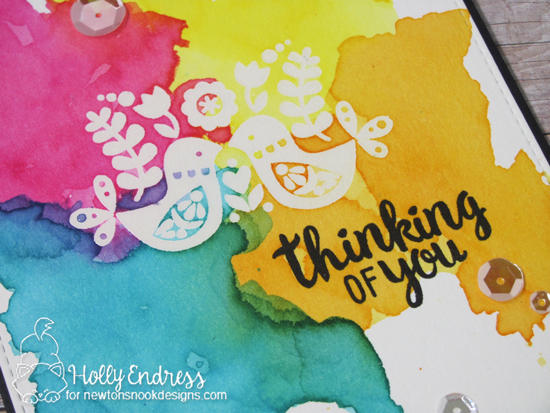 It's time for a new Inky Paws Challenge and this week it's all about Color!! I love these colors.. I mean who really doesn't love a rainbow? I started with a piece of watercolor paper and then I stamped an image from the Cottage Garden set into the center and heat embossed it in clear embossing powder. Then I added some Distress Inks in the colors from the challenge. Once the panel was dry I wiped off any excess from the image with a tissue and stamped the sentiment from the same set under the image in Black Ink. Then I die cut the pane using a Large Stitched rectangle die and adhered it to a Black top folding card base. I wanted a little bit of bling so I added some Sparkling Clear sequins. Head over to the Inky Paws Blog to find out how to enter the challenge and play along for a chance to Win a $10 Store Credit. The Challenge will end on Friday May 26th. Holly, I LOVE this!! The bright colors, the watercolor splotches. The image is so precious, too. Great card! This is so fun! What a genius way to use the bright colors in this challenge! The black and white really pop off them! 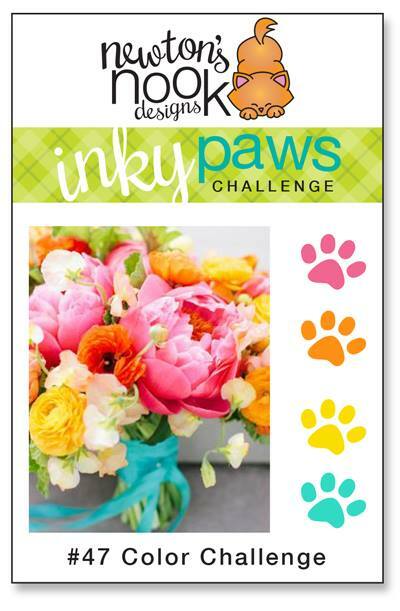 Thank you for the Inky Paws challenge inspiration!